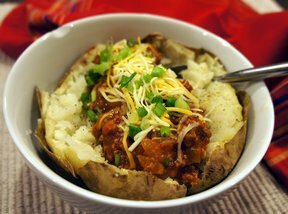 A simple way to turn a weekday meal into something special. Serve with wild rice mix and steamed fresh asparagus. 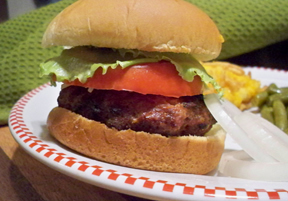 The combination of sausage and ground beef creates a grilled burger that is loaded with flavor. Add all your favorite toppings and enjoy a mouth-watering burger you won't want to put down. Oven Easy® Lemon &amp; Pepper Seafood Coating Mix seals in natural juices and adds a tasty blend of lemon and cracked black pepper to all types of fish and seafood. 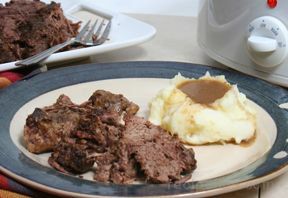 Prepare this hearty slow cooker beef recipe to satisfy those hungry appetites. 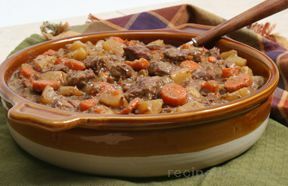 This slow cooker beef stew makes its own gravy while it cooks, making this an easy slow cooking whole meal recipe. If you haven't got the time to make homemade ice cream, just enjoy your favorite store bought vanilla ice cream. You could substitute another flavor but sometimes a scoop of plain vanilla ice cream is all you need to finish a meal. 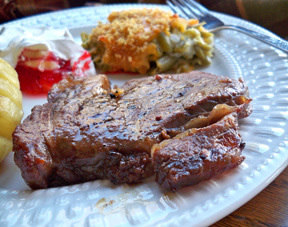 A sweet marinade provides this grilled steak with a boost of flavor.